The Goods and Services Tax since its implementation in 2017 has affected all the major business sectors of the Indian economy. Businesses had to hire GST consultants in India and make changes in their infrastructure according to the new reporting system. The Information and Technology industry has grown to become one of the key sectors of the country’s economy. 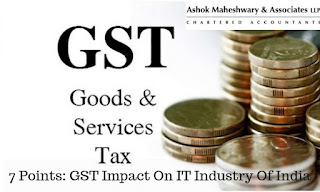 In this article, we are discussing the GST impact on IT industry of the country. Over the years, the country has become a big global player in the domain because of the efforts of various local entrepreneurs as well as a large number of skilled IT professionals. Let’s take a look at how the new indirect tax affected this key segment of the nation’s economy. One of the major impacts on the business domain was in the form of increased taxation of software services. Earlier these services were charged a service tax at a rate of 15%. Under the new law, these services were kept in the 18% tax slab. This made the services provided by software companies more expensive. The software in physical form is considered as goods under the law and it also attracts 18% GST. The benefit of claiming input tax credit has been extended to the entrepreneurs in this business vertical. They can offset all the input taxes against the service provided. Large IT companies invest a huge amount of money in developing and maintaining critical infrastructure like servers. They can adjust the tax paid by them on the hardware against the tax paid on services. 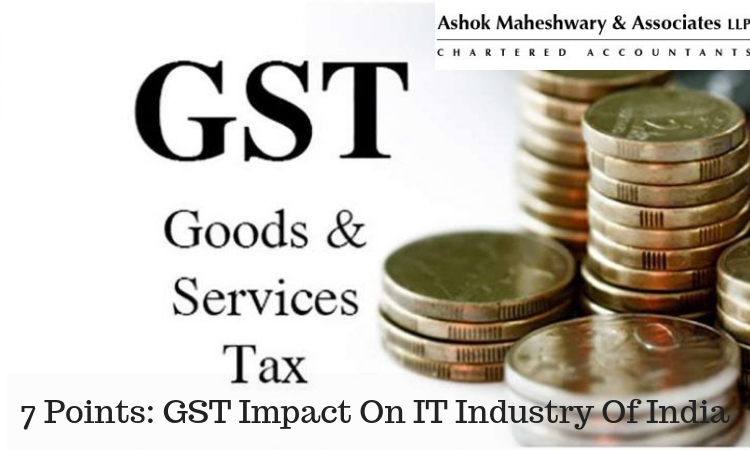 A significant GST impact on IT industry was felt by hardware manufacturers. Items like laptops, desktops, printers etc. were classified as peripheral accessories and kept in the 18% tax slab. Earlier, these goods were levied not more than 15% of their retail price. This has made computer hardware goods costlier. It has also contributed to increasing the operational costs of the IT companies. The roll-out of the new law brought new compliance requirements along with payment and reporting procedures. Organizations across all sectors had to make major changes in their infrastructure for maintaining important documents. They also had to install new software for generating invoices and keeping records. This was an additional expense for all businesses including those located in the IT sector. The new law increased the burden of compliance on the companies located in the segment. Being a destination-based tax, organizations need to get the GST business registration done at each state where they are providing services. This was not the case earlier when they had to do a single registration for service tax. Moreover, businesses may need to file multiple goods and services tax returns during a financial year. The new law made it mandatory for all e-commerce sellers to do the GST registration irrespective of their annual turnover. A threshold turnover limit of Rs 20 lakh was announced at the time of implementation of the new tax. This has been now raised to Rs 40 lakhs. E-commerce operators also cannot apply for the composition scheme. The export of Information Technology and Information Technology Enabled Services like software development, consultancy, and BPO services have been zero-rated under the new law. This means that no GST will be charged on the export of these services subject to the fulfillment of specified conditions. The GST impact on IT industry has been significant with companies having to deal with multi-point taxation and increased reporting requirements. The facility of input tax credit along with GST-free exports are beneficial for the industry through, which will be helpful in its growth.